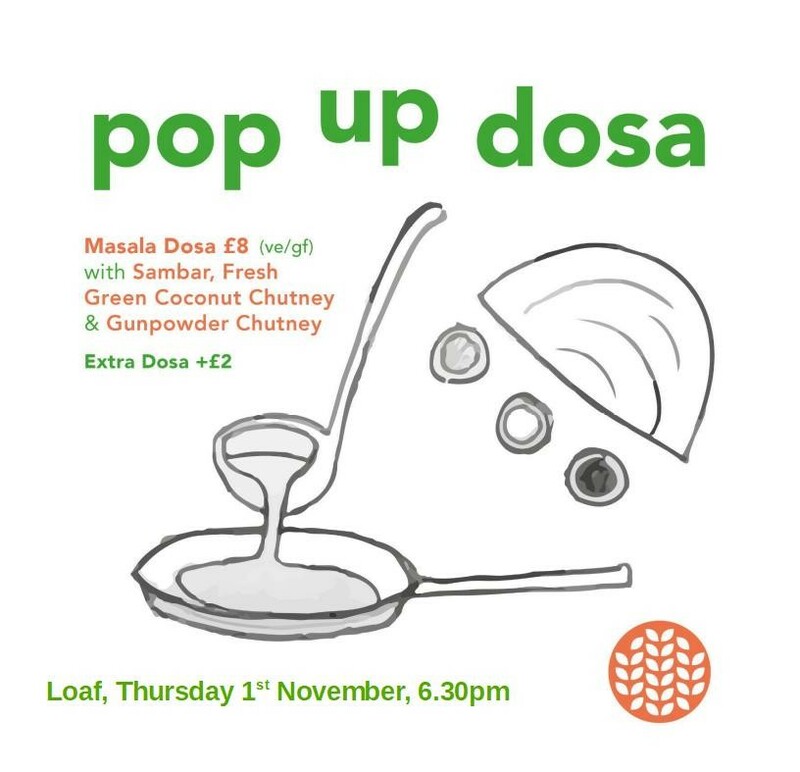 We’re really looking forward to this – Haseen is back in the Loaf kitchen so you can all have dosa for dinner! We’ll be keeping it simple – a Masala dosa comes with all the trimmings and you can add an extra plain dosa if you fancy it. We’ll open the doors at 6.30pm and keep going until we sell out. This event is veggie/vegan friendly and the dishes are gluten free too. See you there! A rice and lentil crepe filled with savoury potatoes, tomatoes and green peas. Comes with sambar (a seasonal veg stew), fresh green coconut chutney and gunpowder chutney. If you want to recereate this deliciousness at home, Haseen will be running his last two courses of 2018 on Tuesday 30th October (Thaali) and Tuesday 27th November (Dosa) in the Cookery School, there are still a few places available on both dates. And don’t worry – there will be plenty more dates in the new year if you can’t make those ones.